Everyone is talking about ‘green living’ – environmentally-friendly this and eco-friendly that. Almost every product out there has some sort of ‘green’ claim to fame; it can be difficult to determine what is right for your home, right for your budget and right for the planet. Now, more than ever before, homeowners are looking for ways to create ‘green’ homes, homes that are healthy, natural and sustainable, and that do not take a toll on the environment. This starts with how a home is designed and constructed; from its orientation in terms of natural light and heating, to what materials are used. This includes careful consideration to windows and doors, and how they are positioned, insulated and finished. This is due to the fact that they are responsible for a large percentage of a home’s heat gain and loss. However unlike the architecture, specifying and building of a home, which are most often taken care of by professionals, decorating a home in an equally eco-friendly way is most likely the responsibility of the homeowners. Here are five questions we suggest homeowners ask themselves before making interior design and decorating decisions and purchases. We live in a time of gross consumerism, taking what we want and more than we need. To create an eco-friendly home one must make smart choices that are accountable to purpose and considerate of consequence. Gone are the days of cluttered interiors littered with nik-naks and trinkets collected from far and wide; today’s leading interior styles are streamlined and functional. Before deciding on furnishing and finishes ask ‘Do I need this?’ and then qualify your answer in terms of purpose, and style longevity i.e. not following trends that result in throwing pieces out when the fad passes. Avoid synthetic materials with lots of chemicals as these have a negative impact on the environment when manufactured and disposed of. Rather choose furnishings and finishes made of recycled, recyclable or natural sustainable materials such as bamboo, wicker, cork, wood etc. Buy smart! When buying big pieces of furniture and choosing home finishes consider how long the product will last. Replacing every few years is less than ideal, for your budget and the planet. Also look at what products and styles are timeless and classic, and will allow you to adapt your changing décor themes around them seamlessly. Shutters and blinds for example are ideal permanent window finishes; they do not date and are not style dependent; they complement any décor style from traditional to modern, from country to chic urban. Unlike fabric window treatments, shutters and blinds, whether finished in a neutral tone or left in their natural wood state, do not need replacing every time a colour or décor style is changed. AMERICAN shutters® offers product guarantees on their shutters and blinds to support the longevity and long-term value of their products. 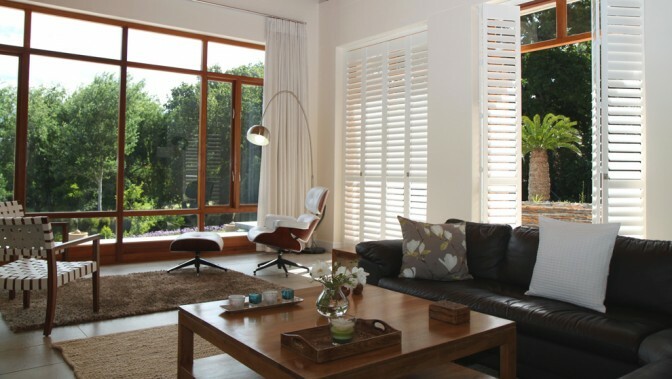 View our shutter ranges here. What are my recycle, upcycle or freecycle options? Before buying new, consider if old, reinvented or repurposed will do. 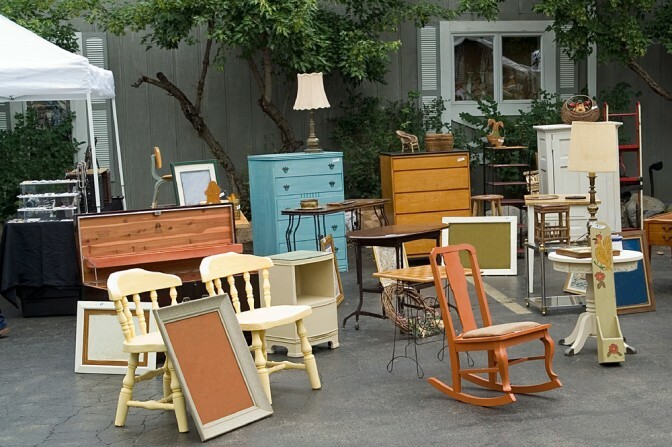 Take the time to browse through second hand furniture stores, online sites, freecycle websites and social media pages, and markets to discover treasures that can be given a new life with some creative thinking and elbow grease. 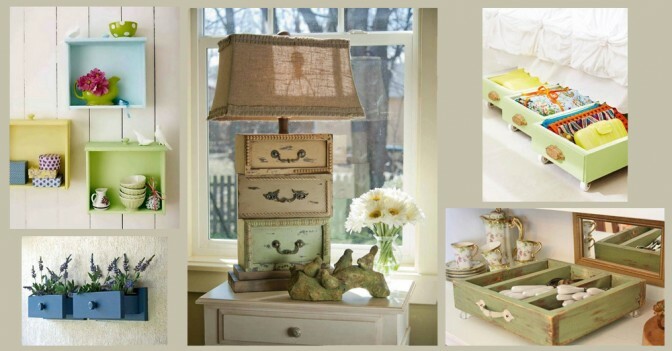 The below collage shows some of the very inventive creative things you can do with old drawers. Let your imagination go wild and create a one of a kind piece unique to your home. Will it help me live a greener life? 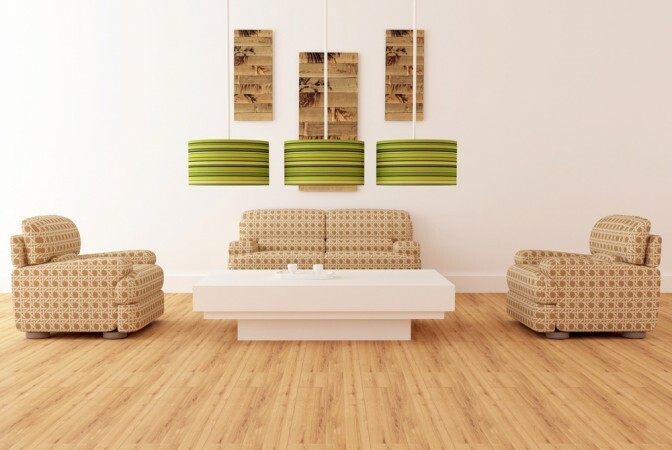 First prize in creating a ‘green’ home is to select furniture and finishes that not only look good in your home, but help you live a more eco-friendly life. The perfect examples of such products are shutters and blinds. As mentioned earlier in this article, windows and doors are responsible for the largest amount of heat loss and gain in a home, installing eco-friendly shutters or blinds not only insulates the glass panels, helping to keep the interior warm in winter and cool in summer, but it also facilitates an unprecedented amount of versatility in how much light and ventilation is allowed into a space. 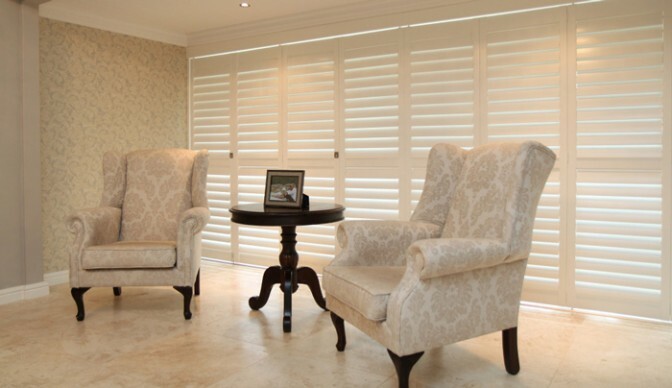 AMERICAN shutters’ products are all eco-friendly, but their flagship ‘green’ product range is their Decowood shutter range. Locally manufactured Decowood shutters are AMERICAN shutters’ most popular, cost effective and eco-friendly range of wood shutters. Suited to all interior design styles, installations and function, they are hardworking and hard-wearing and hard to resist! They are made from advanced wood composite, which is engineered using individual wood fibres sourced from sustainable forests. Find out more here.